Remington® High Performance Rifle: Legendary for accuracy and performance. 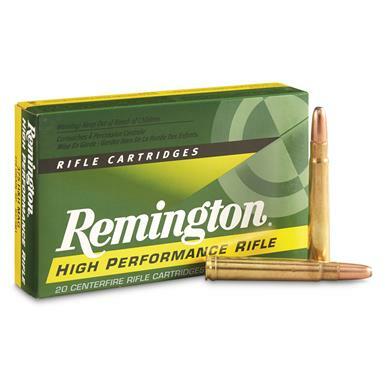 Remington High Performance Rifle, .375 H H Mag., SP, 270 Grain, 20 Rounds is rated 5.0 out of 5 by 2. Rated 5 out of 5 by Skookum65 from Good Quality Range time with the 375 proved to be accurate and consistent. Remington ammunition has never let me down since I began using it 40 years ago with my 30-30. Rated 5 out of 5 by JAY from no one can beat sportsman's guide prices !!!!!!!!! The most accurate rapid-expansion bullet.